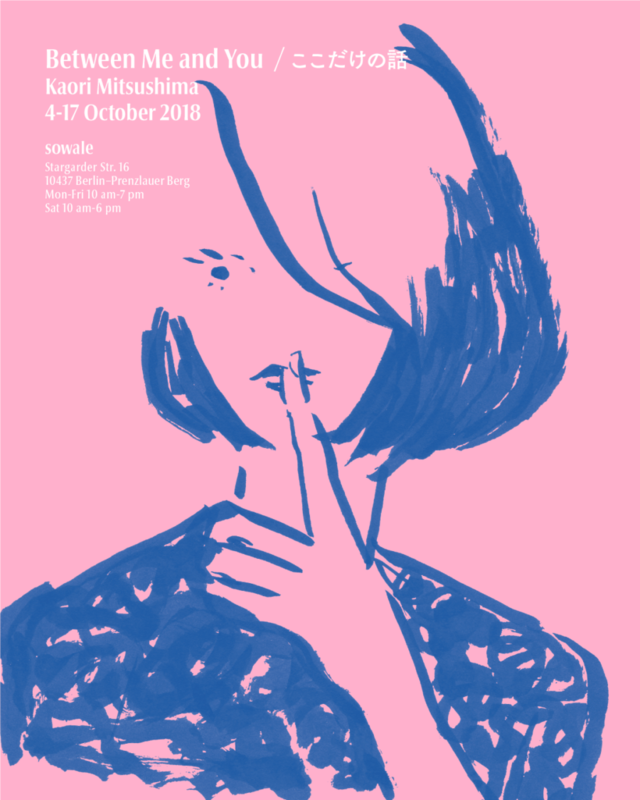 Kaori will exhibit her new silk screened poster (edition of 20),ZINE and original drawings in this exhibition.All the works are created exclusively for this exhibition and they will be available for purchase.This is a great opportunity to see her illustrations in person. Currently lives and works in Prague, Czech Republic. When we first met Kaori, she showed us ten different illustrated posters and said; “Please choose the one you like the most from them. I’d like to give you as a gift.” The title of the piece we chose was «Between Me and You». A few years later, she decided to have an exhibition with the same title at sowale. This is a secret Between Us and Her.